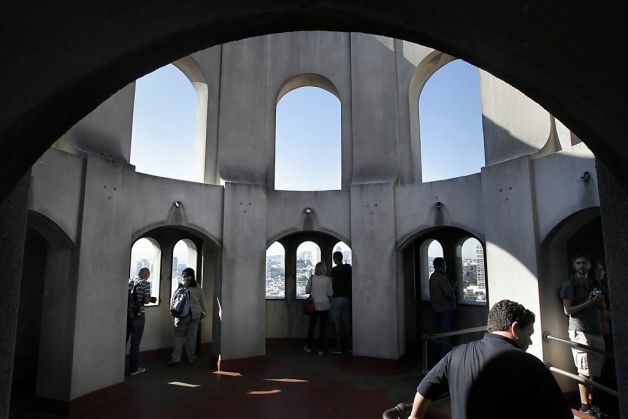 Coit Tower has a so much to offer the visitor, especially since it is now reopened after a 6 month refurbishing. 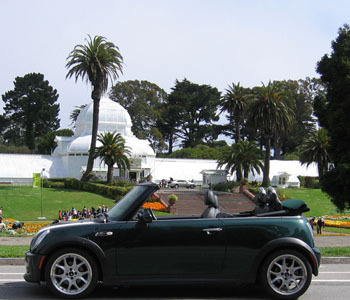 From the parking lot, there are views of the Golden Gate, Russian Hill, and Alcartaz. 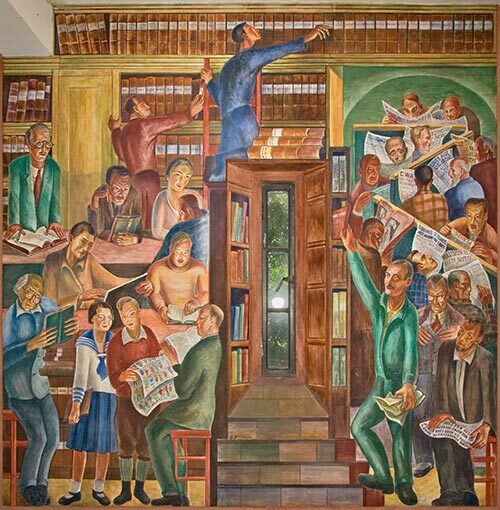 Inside the tower are murals from the 1930’s PWA project. And a $7 elevator ride takes you 15 stories above the city. 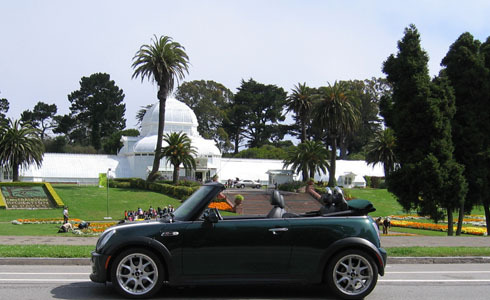 If you don’t get out and inside while on your private tour in the convertible MINI Cooper, I suggest you make it part of your day when you visit North Beach. 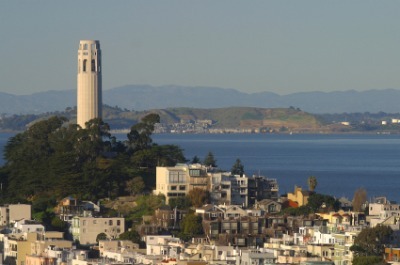 After coffee in the the morning, take one of the many staircases on the Western (North Beach) side up to the tower. Then take another staircase back down to North Beach for lunch and a glass of wine.